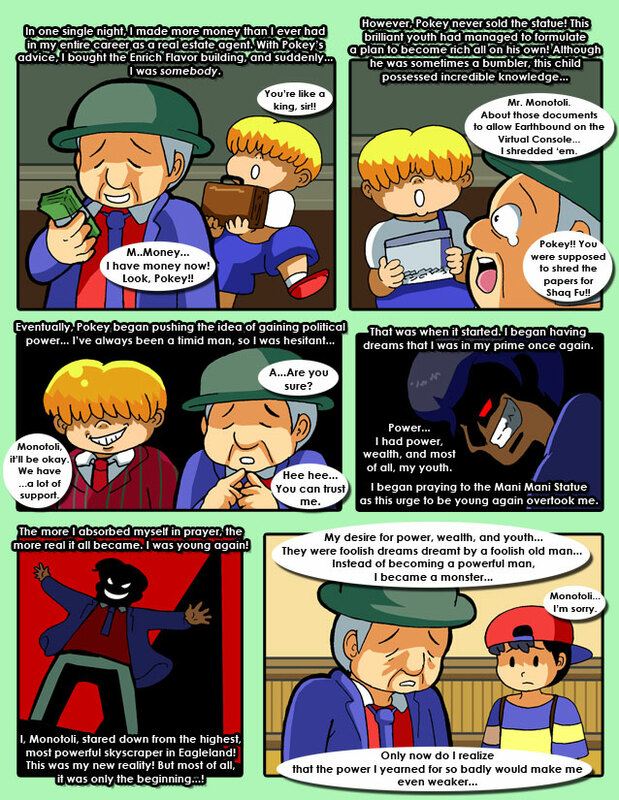 Getting a little blue in the face, Ness finds himself unable to resist the voice pushing him forward. Similarly, Paula meets his frustration, and Jeff slowly starts to join in on the act. Poo....well, he's just Poo.